Did you know that most of the car for hire industry is unregulated? That every time you hail a ride from an app on your phone, you are using a service that is under no obligation to follow any legal guidelines for safety and liability? The unregulated car for hire industry hurts everyone. This practice affects everyone from consumers to drivers to operating companies. It was during the Great Depression when the U.S. first realized a need for a regulated car for hire industry. at that time unlicensed taxi cab drivers caused an increase in accident rates, out of control congestion, and underinsured drivers. Furthermore, throughout history any time a city attempted de-regulation the same issues arose once again. Today in the wake of ride-hailing apps on smart devices some cities are reporting some these exact same conditions. Decreased vehicle quality, and older vehicle utilization. Neglected low-density areas leading to difficult access to reliable transportation. Increase in accidents due to inexperience and lack of training. Trustworthy operators struggled to maintain the quality of standards due to increased price undercutting by competition. Increased traffic in high-density areas leading to traffic jams because of the influx of additional cars on the road. Environmental issues as air quality decreased. History’s failures show us that an unregulated car for hire industry puts riders in danger, affects the environment, and has negative consequences for ethical small business owners. Transport for hire is a necessary public service. Hence, smart regulations ensure safe, affordable, and reliable access to this service. Unfortunately, the deregulation of ride apps like Uber and Lyft, and consequently other third-party providers, is resulting in the very same consequences of the past. What’s more, as these services mature in large and smaller markets we can expect the quality to continue to decline. These companies continue to undercut its competitors, most likely locally owned taxi companies. Furthermore, investigations are surfacing showing that these services use software that manipulates the drivers into working longer hours. While Uber and Lyft may dominate the market, their business practices have proven anything but fair. So far this has proven great for consumers’ pockets, but at what cost? What’s most alarming about this “ride-on-demand” trend is the rate at which public safety and is declining and disdain are increasing. While the technology is different, there is really no difference between unregulated services of the Great Depression and modern ride-hailing services. Consider these similarities such as the use of untrained, amateur drivers and no commercial insurance. What Uber refers to as “surge increases” really only translates into the price gouging of the past. Further, in many areas Uber is the only competitor, creating a monopoly. And while the drivers do go through a background check it is conducted by a third-party that is under no obligation to report information. That is why some drivers with criminal records, who should have been denied, slipped through the cracks. Conversely, taxicab companies are required to follow a strict procedure. They use “Live-Scan” a fingerprint-based background check of all drivers. The prints are filters through the Department of Justice and FBI systems and have no time or jurisdiction limitations. The system is comprehensive and updated regularly. Taxi-drivers must also meet other qualifications that Uber and Lyft drivers do not. Uber and Lyft drivers also tend to have less experience on the roads than normal taxi drivers which leads to more accidents happening for these unregulated services than taxi companies. 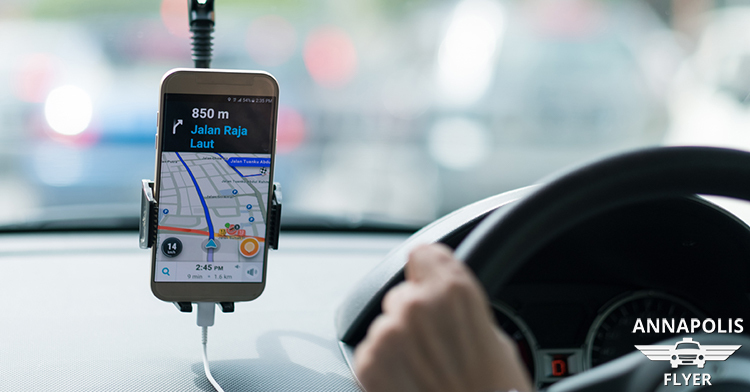 If you have been in an accident while using the Lyft services then you may want to consult a lyft accident attorney to see if you can get compensation for any injuries you suffered. Drivers are struggling to work under the ride hail operations. And customers increasing are becoming more and more scornful. Drivers site their lack of income and riders voice their lack of safety and fare consistency. Drivers are putting riders in danger and riders are being taken advantage of. However without government rules to govern these companies and their drivers this industry has free reign to pretty much do as it pleases. It is easy to see why the unregulated car for hire industry hurts everyone. So many are affected include the riders, drivers, and locally owned taxicab companies. If you truly want an on-demand ride service you can trust contact Annapolis Flyer Cab. All of our drivers undergo a serious vetting process. We are licensed and insured. Furthermore, we provide call ahead reservations and allow you to chose the same diver you know and trust. Contact us today and experience the difference!